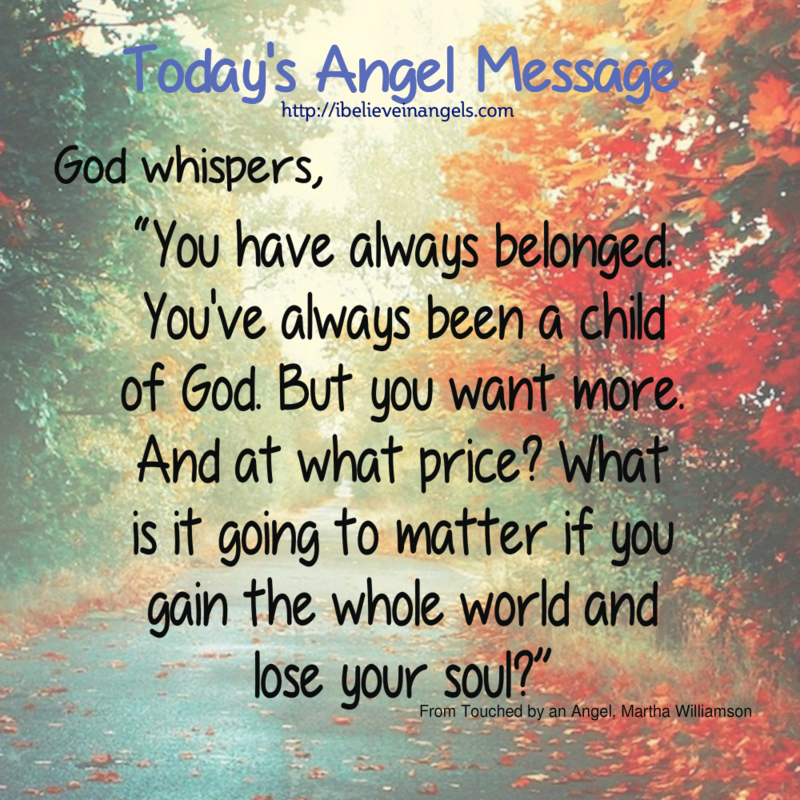 Finding Contentment – I Believe in Angels – Do You? We live in a world of wanting more and more … bigger, better. Sometimes we lose sight of the reality of who we are. What we are becomes our focus, our goal. You have always been a child of God.But you want more. My prayer for all of us today is that we will find contentment in knowing that God loves us. We are his children.